Water damage in your home can cause due to so many reasons – overflowing gutters, bursting pipes and flood-inducing rains. However, water can give undue stress on a homeowner. After a flood strikes, your home faces structural damage, loss of possessions and the threat of mold – which seem more overwhelming than flood! But hiring ServiceMaster Cleaning and Restoration Pro for residential water damage restoration in Glenview, IL is a smart decision as our professional technicians are available 24/7 allowing homeowners to relieve the stresses associated with water damage. Nevertheless of the cause of damage to your home – be it’s due to flood or leaking washing machine, ServiceMaster Cleaning and Restoration Pro has the experience to provide efficient and quick residential water damage restoration in Glenview, IL to restore it back to its original condition. Our highly skillful and experienced technicians will communicate with you throughout the water damage restoration process and will be in constant communication with your insurance provider. Upon hiring our residential water damage restoration in Glenview, IL, you’ll receive nothing short of the superior standard services in the industry. 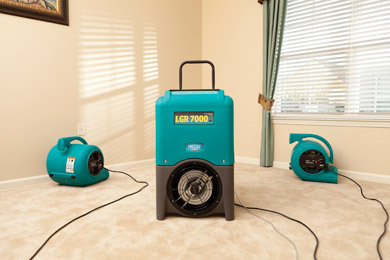 ServiceMaster Cleaning and Restoration Pro responds to all type of residential water damage woes in Glenview, IL. So, instead of panicking when your sump pump fails or a pipe bursts out, call us immediately for residential water damage restoration in Glenview, IL. We are proactively available round the clock to make sure that we respond to your water damage requests as soon as possible. Feel free to get in touch with ServiceMaster Cleaning and Restoration Pro for thorough, efficient water damage restoration in Glenview, IL at 847-724-9800! *May require subcontracted services for best results.